Foundations of Galois Theory is an introduction to group theory, field theory, and the basic concepts of abstract algebra. The text is divided into two parts. Part I presents the elements of Galois Theory, in which chapters are devoted to the presentation of the elements of field theory, facts from the theory of groups, and the applications of Galois Theory. Part II focuses on the development of general Galois Theory and its use in the solution of equations by radicals. Equations that are solvable by radicals; the construction of equations solvable by radicals; and the unsolvability by radicals of the general equation of degree n ? 5 are discussed as well. 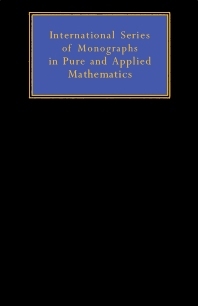 Mathematicians, physicists, researchers, and students of mathematics will find this book highly useful.